The STS-127 crew – led by Commander Mark Polansky – have arrived at the Kennedy Space Center (KSC), while engineers out at Pad 39A are continuing to work towards the opening launch attempt of Endeavour on June 13 – with a review at Thursday’s L-2 (days) meeting scheduled to take a closer look at the status of the flow. Due to the late rollover from Pad 39B to 39A, engineers are working on a tight – zero contingency – timeline. However, the highly experienced KSC team remain on target to enter the countdown on Wednesday, providing the flow continues to be issue-free. That remains the case, with no major issues currently being worked on Endeavour, as the Florida spaceport prepares to launch another mission just a month after Atlantis’ STS-125 mission to the Hubble Space Telescope. One potential constraint was removed from the problem list over the weekend, following successful leak checks on Endeavour’s SSMEs (Space Shuttle Main Engine). The checks allayed concerns relating to corrosion – which was observed on the nozzles last week. “Completed polishing. During normal nozzle inspection, identified two issues: engine 1 and 3 have some corrosion at G15 area. It looks unusual, and have asked corrosion expert from Canoga Park to look at it,” noted status heading into the leak checks. “Forward plan is to use digital microscope to look at surface of nozzle tube, clean it. Cleaning will be similar to that done on STS-125 nozzles using DI water, Nylon brush and Scotch-Brite, and then look at the clean surface with the digital microscope to sense the degree of pitting the corrosion process is probably undergoing. The successful leak checks confirmed the nozzle tubing is in a sound condition for flight. Endeavour’s Payload Bay Doors (PLBDs) were closed for flight on Saturday, with a slight concern noted on a bulb seal during checks ahead of closure. This is not likely to become a problem for flight. “Payload bay doors were closed for flight on Saturday. 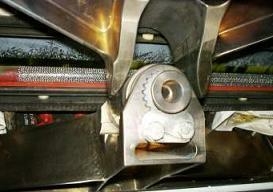 A small slice was observed in the in bulb seal during walk-downs prior to closure,” noted processing information on L2. “The discrepancy is being evaluated, and engineering will most likely process a report to fly-as-is. “Torque tubes were left installed pending final resolution of the bulb seal should the PLBDs need to be reopened to support repair work prior to flight. Sunday saw the completion of ordnance installation on the vehicle, not long after it had been removed ahead of the rollaround from Pad 39B, along with Self-Contained Atmospheric Protection Ensemble (SCAPE) operations. Monday’s flow involved S0071 MPS (Main Propulsion System) and OMS/RCS (Orbital Maneuvering System/Reaction Control System) pressurization to flight mass, along with continuing orbiter aft closeouts. The Final Aft Confidence Test will occur during Tuesday. Also boosting the chance of making the June 13 target has been the removal of three problems reported during the pad flow, two of which related to the Solid Rocket Booster (SRB) and Range Safety System (RSS) Command Receiver Decoders (CRD). “SRB Joint Heater Secondary Power failed (issue). Facility Circuit Breaker P16 removed and replaced with bench stock – closed,” added processing information. “RSS Ground Arm Commands not received by Command Receiver Decoders during S0017. Test codes had been loaded in the SRB forward skirts to allow unescorted access for processing. The third issue related to the ET Umbilical Well camera, which has been troublesome on all the orbiters in the fleet over recent missions. Endeavour’s camera and flash system appears to be working – with the root cause likely related to the operation of the hardware via the orbiter’s battery power, versus ground power. “ET Separation Camera. Retest is complete and good (including Flash) using Flight Laptop and cables. This issue will be closed as an Explained Condition relative to the use of ground power vs. vehicle power during testing,” noted processing information, with the Orbiter Project Office adding their take on the problematic hardware. 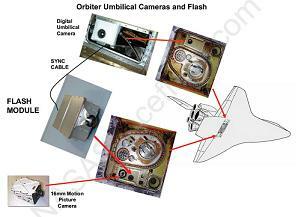 “Got into testing on umbilical camera from STS-127. Camera itself worked as planned. Got 23 flashes from the flash and 23 images on the camera. Had trouble communicating with the camera long enough to check the camera settings and download and erase the images. With a large amount of work taking place on the vehicle to make the June 13 launch date, Mission Management Team (MMT) co-chair Leroy Cain made a point of ensuring teams are rotating their engineers ahead of launch, to ensure the workforce is fresh for Saturday’s launch. “Targeting launch on June 13. Know the launch vehicle processing and schedule at KSC is tight relative to making June 13 launch. Will let folks work through the process we have laid out in front of us and will see where we get to,” noted Mr Cain on the Shuttle Standup/Integration report (L2), with the routine L-2 (Days) meeting on Thursday to be used to review if the flow is too tight to make the Saturday lift-off target. “Currently, the schedule shows we can make it; probably just need a bit of good luck with weather and other things. The plan is to have L-2 on June 11 at 10:00 ET as mentioned. Have much work to do between now and then. Are encouraged by seeing some folks trying to take a day or two off here and there for themselves and trying to give some of their folks some time off.